Circuit training is a very popular method or style of training that can be used for various results. Today we are going to talk about the basics, the purpose of doing circuit training, and how it can be applied in workouts for your benefit. A lot of people use circuit training regardless of their level of fitness because it is a very useful style of program to have in your bag of exercise tricks. In essence circuit training is combining a group of exercises together to be performed in a row. If you have 10 exercises, for example, you would do 1 set of the first exercise and then move on to the second exercise. After completing all 10 exercises you would have completed 1 circuit. The number of circuits your program might have you do varies but usually is 2 to 4. Most programs involve using anywhere from 8 to 12 exercises in the circuit. Repetitions are usually in the 8 to 20 range depending on the goal of the circuit. Ideally you only rest 30 seconds or less between exercises, which is about the amount of time it takes to go from station to station. Usually you are lifting weight that is anywhere from 50 to 70% of your maximum. Along with general strength, circuit training also helps with training your endurance. 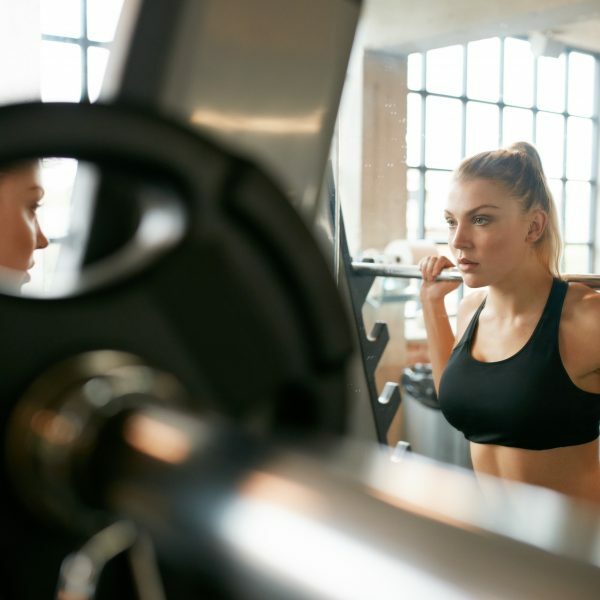 If you are using a fast pace (30 seconds between exercises) then there is also a bit of a caloric burn as your heart rate is kept at a higher rate during the circuits. Because of all these benefits as well as a general short time-frame for working out (45 minutes or less), circuits are a great way to improve general fitness. This style of training is great for people new to working out because it is a very set routine that typically utilizes machines that most gyms have. Unlike free-weights that have a lot of variations and can require more instructions, using machines is very straightforward. Also circuit training can be done over a variety of levels from very easy to very hard depending on the type of program and fitness level of the participants. The shorter rest periods also increase the release of testosterone in your system during the workout which is beneficial to increasing muscle size. Circuits aren’t just for beginners. Some men assume that a circuit is something more women might do lifting very light weights. In fact, circuits can be very taxing. What you get out of a circuit depends on what you put into it in regards to effort and the exercises you choose. Circuits are a great way to include endurance training into anyone’s regular routine. You can turn any workout into a circuit workout. All exercises are fair game. Just because machines are more common does not mean that you need to stick with them. Free weights can easily be used to create a circuit. Also exercises do not have to work the entire body. You can do an upper body circuit on one day and a lower body circuit on another. However doing a circuit for just a single body part would probably be a bit much. Many people also use circuits for abdominal work as well as bodyweight training when they don’t have access to a gym. You can mix up things like pushups, crunches, burpies, and running in place along with other exercises to get a great circuit training workout at home, on the road, or wherever.